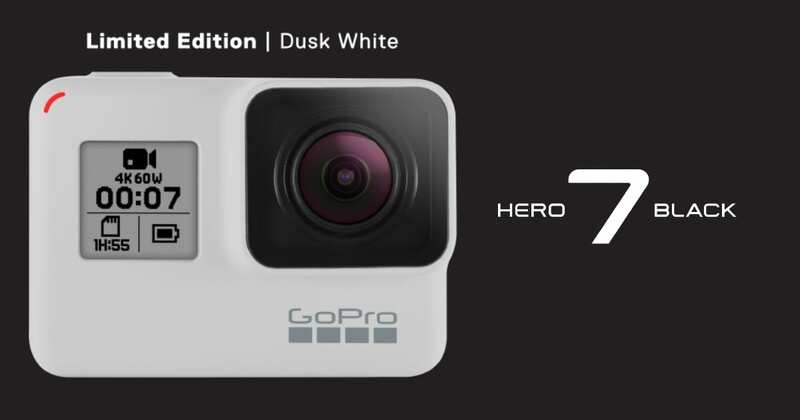 For your chance to a Limited Edition GoPro Hero7 Black Dusk/White, click on the enter competition button below and answer a simple yes or no question. The following are the terms and conditions of the Great Outdoors GoPro Giveaway. Your participation in the competition shall be deemed to be your complete acceptance of the terms and conditions herein. Entrants must be 18 years of age to participate and resident within Ireland. All entrants will have their email address added to ours and GoPro’s mailing lists. To unsubscribe in the future, simply use the unsubscribe link in any of the emails you receive. Entrants can enter as often as they like but there will only be one prize per entrant. In the event that the Great Outdoors deems an entrant to have in any way acted in bad faith with respect to the competition, such entrant shall be excluded from the competition and consequently deemed ineligible to win. The prize is neither transferable nor exchangeable and cannot be exchanged for money. The winner will be notified by phone call and prizes must be collected in-store within 30 days of their entry or the prize will be considered forfeit and used in an alternative competition in the future. Great Outdoors’ decision is final with respect to all matters relating to awarding of the prizes and shall not be subject to review or appeal by any entrant or by any third party. By entering the competition, each entrant unreservedly agrees to these terms and conditions which govern the competition and the awarding of the prize. By entering the competition each entrant agrees to release, discharge and hold harmless the Great Outdoors, their legal representatives, affiliates, subsidiaries, agencies and their respective officers, directors, employees and agents from any damages whatsoever suffered, sustained or allegedly sustained in connection with the competition or the acceptance of the prize. The winners will be chosen at random from all those who answer the qualifying question correctly. The winner’s name will be disclosed to anyone who writes to the Great Outdoors at their physical addresses. The winners will be announced via social media channels on Wednesday, May 1st. •Closing date for all applications is Midnight on Tuesday, April 30th. Specification of the prize may vary. Images used for illustrative purposes only. End of Winter Oakley Clear-Out!